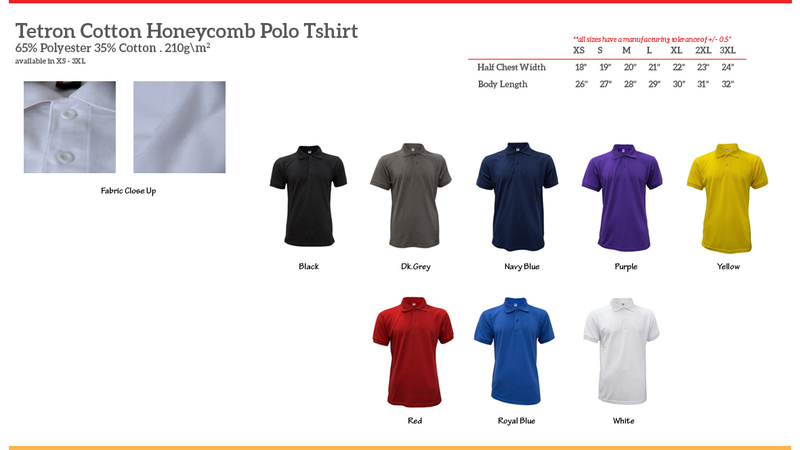 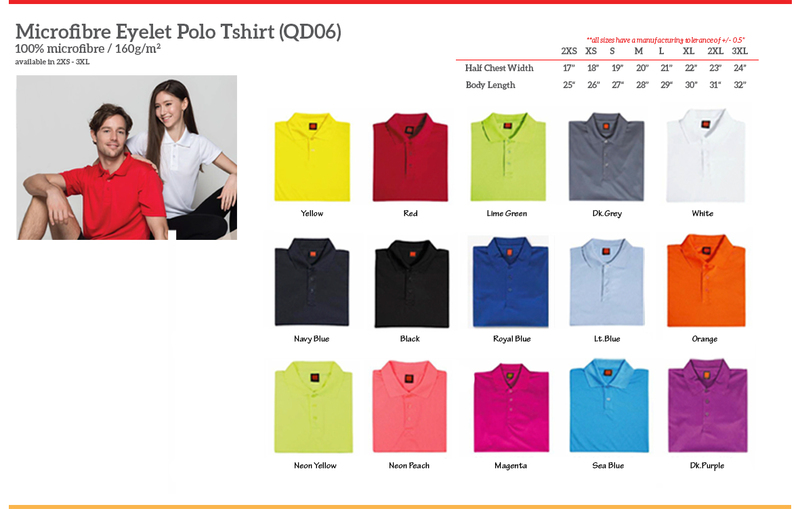 Polo Tees, smart; casual; presentable, comes in honeycomb cotton or dri-fit material. 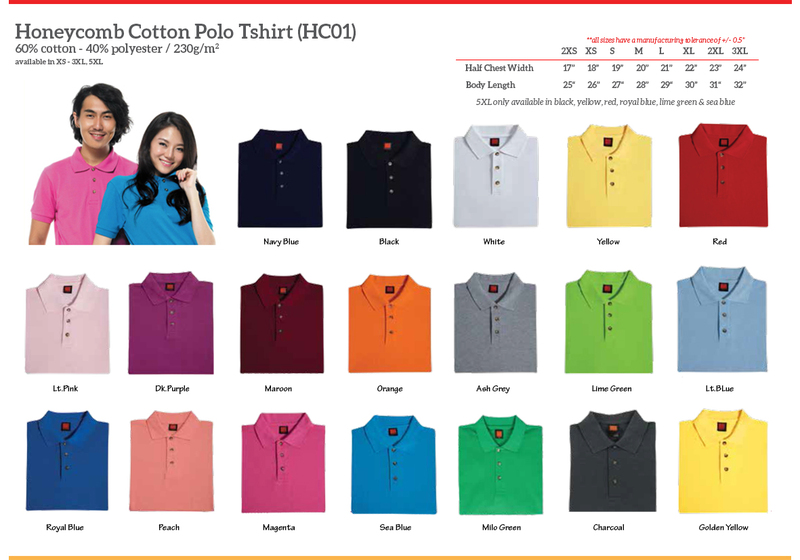 With your customised design, we can do silkscreen printing, digital transfer or embroidery to produce your desired t-shirt. 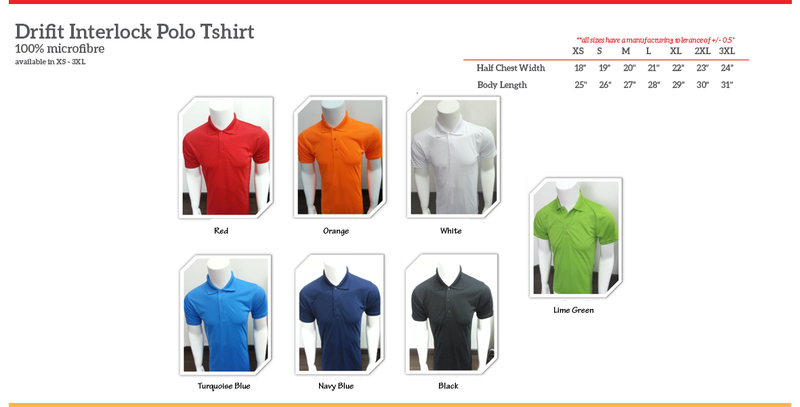 Minimum Order Quantity starts from 20pcs onwards.